Whether or not your brand is active on Twitter, Twitter data can be a valuable resource for your team. 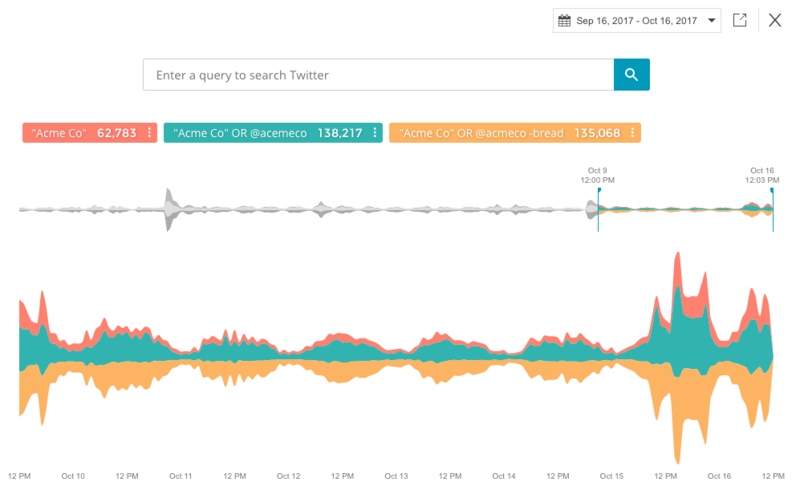 One of our favorite use cases for Twitter is using it for an early warning system. Think of Twitter as the canary in your social coal mine. Twitter provides marketers a searchable record of what the world thinks about anything and everything. This is incredibly useful, even if you don’t use Twitter yourself. At least some of your customers and competitors do use Twitter, and you can use this intel as an early warning system in case something goes wrong. In most cases, you’re going to learn about a potential crisis first on Twitter. So be sure you’re prepared if or when that happens to you. It’s a simple 3-step process to get your early warning system set up in your Union Metrics account. 1. Figure out your keywords. You first need to decide what keywords you want to monitor on Twitter. This should be some combination of your company and product names, key executives or founders, any branded hashtags, etc. You may think you know all of the terms you should be tracking, but try looking around for other less common words like misspellings or customer-driven hashtags. If you’re on our Social Suites, then this is really easy with Echo. Use Echo to test out some initial search queries about your company, brand or industry. Then you can easily refine your queries and discover other terms to include or exclude. This will help you figure out the right combination of terms and exclusions to capture all the relevant conversation. Set up an always-on Tracker for ongoing monitoring of your main brand terms. You can create this Tracker directly from Echo once you’ve settled on your search terms. You can even customize your new Tracker’s backfill from Echo (and if you want older data than your account has access to, just let us know!). Keep this Tracker running and you’ll soon have a clear picture of what normal activity looks like. Most brands will have some seasonal fluctuations, as well as short-term ups and downs that correspond to days of the week or busier times for your brand. Get to know what’s expected and what isn’t. Keep an eye on your ongoing brand Tracker to identify anything that looks out of the ordinary. 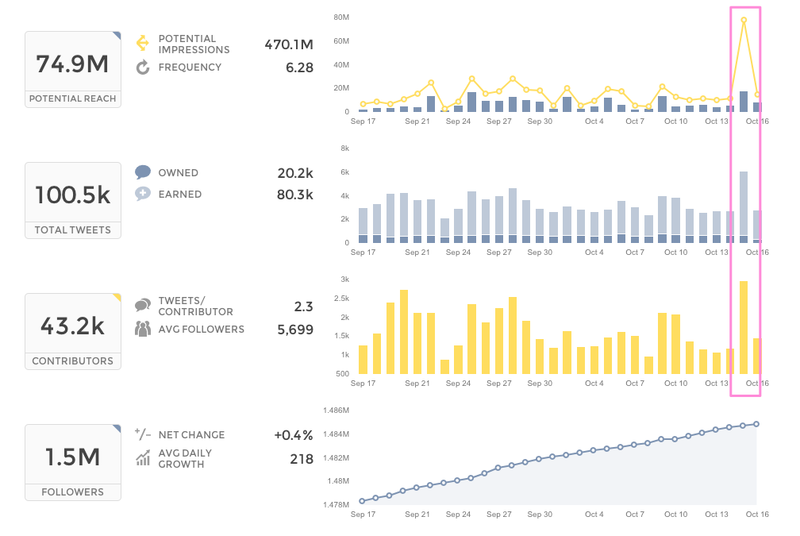 Your account’s Insight Stream will point out aberrations in data like impressions, follows and more, but nothing beats taking a look for yourself. If something is changing, you will be able to tell immediately when you look at your Tracker. 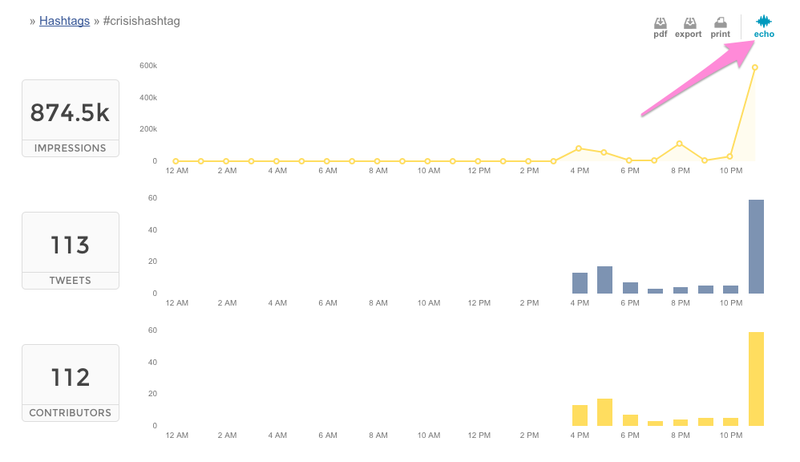 You’ll see a spike or dip in your top-line Tracker metrics as soon as you open the Tracker. From there, it’s easy to drill into the time period with the spike, scroll through the top posts and contributors and see exactly what’s causing the the spike. Read these tweets closely. 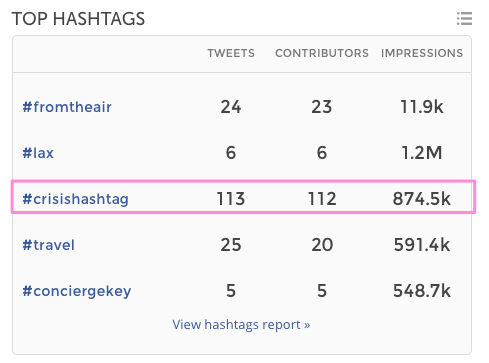 You might notice they use a specific hashtag or mention a particular product or event. Then plan your response. If the conversation is small and well contained – it’s not growing in size or speed – then you might not need to respond at all. If it’s large or growing quickly or about an important issue, you will likely want to plan a response from your team.